Route Planning: Consider weather, time of day, ride length & pace, and road & traffic conditions. Try to select a route with little traffic, interesting scenery, a challenge, and a tailwind to bring you back home. Make the route unique by going a different way to a familiar destination. If ride is long or it is a hot day, plan plenty of refreshment and rest stops. Do some recon if unsure of good water stops. Still need help with a route…no problem…look for a route on the HRBike Ride with GPS. Announce ride: Got a route, a place and time to start? Contact Tim Harrison or Denny Elston to put it on the HRBike calendar. Assembling to Ride-Before you start the route, tally the number of riders, go over ride etiquette & safety rules if needed, briefly describe route, make sure everyone has a helmet and water. In route: Maintain pace of reasonable comfort for all in group, at least for the initial miles of the ride. Stop and regroup at turns and at the tops of difficult climbs. Don’t lose any riders; if riders drop off the back, wait on them until they are to a point on the route that they know where they are and can get back home alone. Make sure dropped riders have a phone. If possible, on long routes, plan break away points so a shorter route is available. 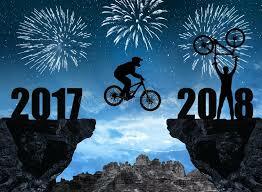 And, last but not least, have a safe and fun day riding your bike. Tips for the first ride you lead: Choose a route you like and know well with a distance and pace that are easy for you. Select a fun destination; perhaps stop for coffee or for lunch. Once leading a group is comfortable; leading longer rides will be doable. Thanks to Dave Bond, Joe Capezza, George Powell, Bob Crook, and Tim Harrison for their expert advise on how to lead a bike ride.